Amazon India has launched the new Product in Smart Home lineup, Echo Show in India. With this launch, Amazon further extends its Echo family with a new premium device which provides a more interesting way to engage with Alexa. The Echo Show comes with fabric design, 10-inch HD display with rich visuals, eight-microphone array and Dolby sound. The eight-array couple with far-field technology helps Echo Show to differentiate the voice from ambient sound. With the help of dual side-firing 2-inch Neodymium drivers, the overall music & video experience enhance to the next level. The Echo Show also comes with a built-in Zigbee Smart Home Hub which can control the other ZigBee devices. You can use Alexa to control these devices using the voice assistant. Once set-up, ask Alexa to turn on the lights or use the touch-screen to turn devices on and off. You can use Alexa-compatible cameras to view the live feed from a camera location without lifting a finger. The device has a built-in 5 MP front-facing camera for video calling. 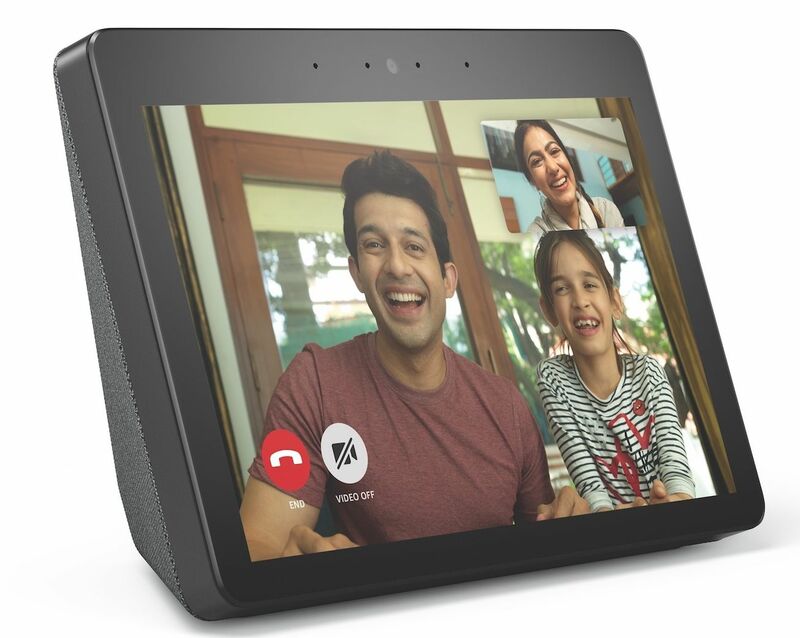 You can call your family members or friends who own the Echo Spot, Echo Show or Alexa app. You can also do the skype call from these gadgets. The Echo Show is available on Amazon.in starting today and will start shipping immediately.